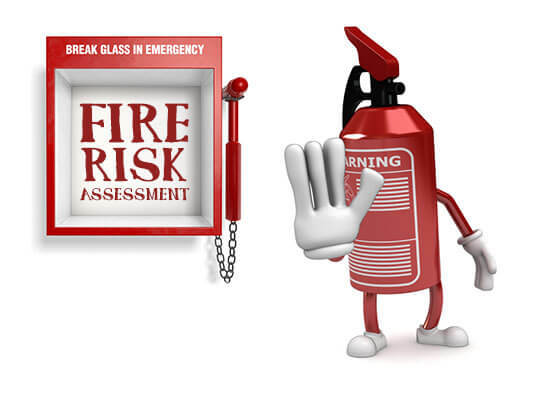 We carry out Fire Risk Assessments in accordance with The Regulatory Reform (Fire Safety) Order 2005 article 9. We will send one of our engineers to visit with you at your premises, identify all the risks and then implement these risks into a document giving you recommendations to reduce these risks to below a significant level. Finally there will be an action plan advising you of how long it should take to rectify any potential high risks found. ​We pride ourselves in that there is no business to small or too big and treat each and every one of our clients with respect and professionalism, which we feel they deserve. In addition to the risk assessments which are required under the Regulatory Reform (Fire Safety) Order 2005 article 9. There are 4 other points which the Fire Brigade will require to complete your Fire Audit inspections. A sufficient number of employees trained in the use of Fire Fighting Equipment and know what to and not to do in the event of a fire. This order has been implemented by the government and failing to comply could result in a fine of up to £10,000 or even imprisonment. We at UK Fire Protection understand that to most businesses this additional cost is never budgeted for. Therefore we have designed a plan to cater for all your Fire Protection needs at an unbelievably affordable monthly cost saving up to 50% off our normal competitive rates.